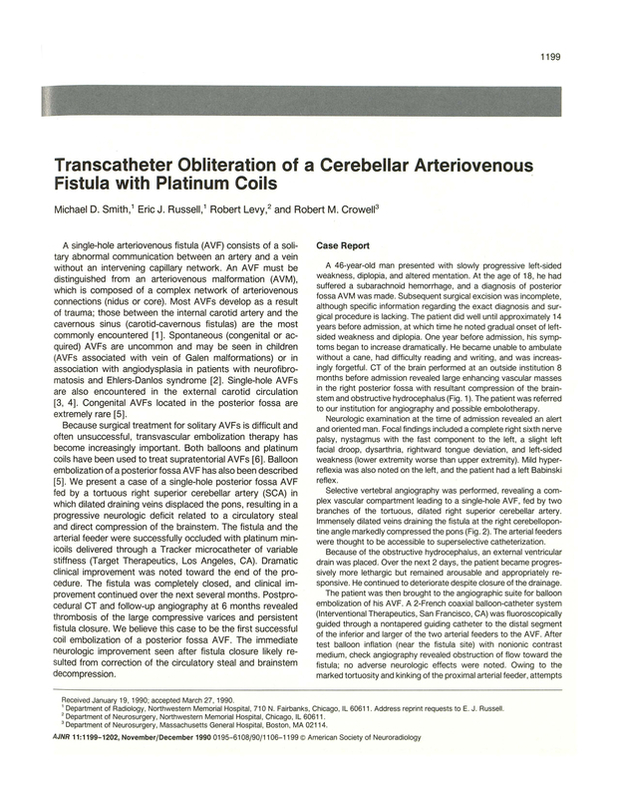 Transcatheter obliteration of a cerebellar arteriovenous fistula with platinum coils. Department of Radiology, Northwestern Memorial Hospital, Chicago, IL 60611. You are going to email the following Transcatheter obliteration of a cerebellar arteriovenous fistula with platinum coils.